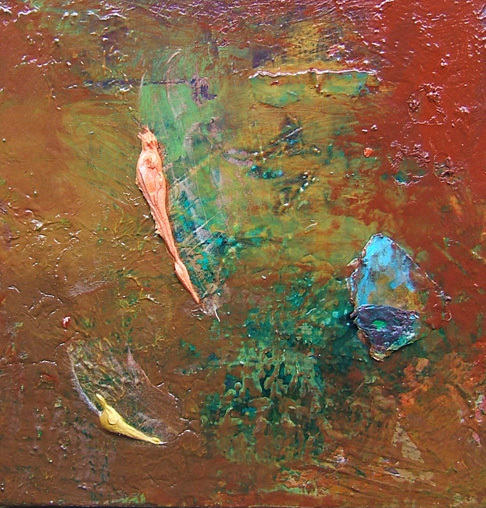 The previous stage of this painting can be seen here. But I’m going to show it in this post again, because it’s been rotated as I worked on it. I liked this previous version too, but in order for it to be my painting and not someone else’s painting, I needed to make it fit better into the series. I’m happy with this one. Things are starting to get on a roll. I am in awe….These are absolutely beautiful. I understand they’re to be part of a series but honestly, they could stand on their own, as completed works as they appear here. That said, I look forward to seeing the end results. Thank you Stephanie! Well, I do want them to be complete works on their own, but I often like to group them in threes, fours, and more. This one is finished, I think! When the five current ones are done, I will post the whole series together for another look at all of them. PS – These just happen five used canvases that I had around here. Some panels are waiting to be started. Oh I really like where you’re headed with this. 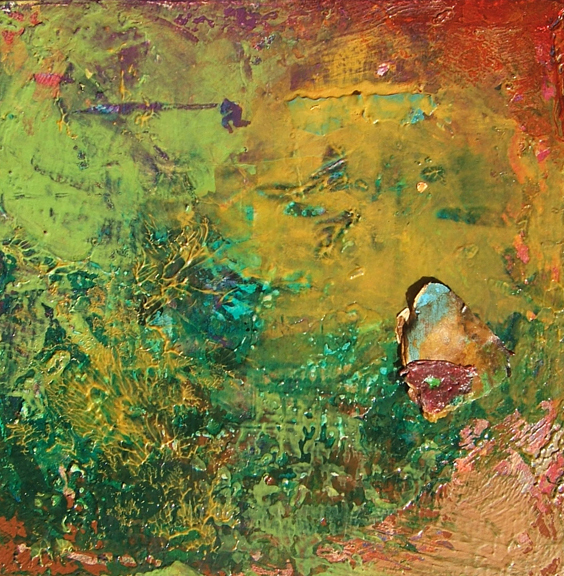 The vibrancy and texture create such a compelling mood. Thank you, Damien. Very nice of you to visit and comment.